Double the chocolate of the 15 gram bag with the personalised Mini Solid Easter Eggs 30 gram bag. 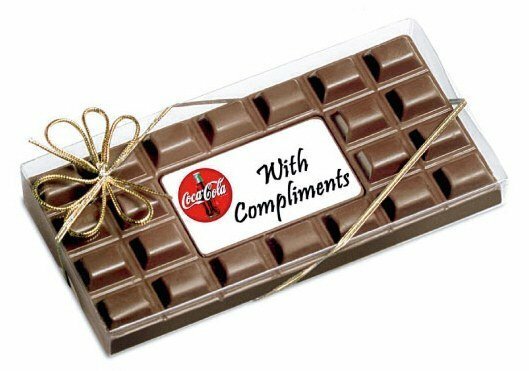 Delight your colleagues and prospective clients this coming Easter with a super fun and delicious confectionery giveaway. The promotional Mini Solid Easter Eggs 30 gram Bag will surely make a good impression about your brand when you take them to your promotional events this coming Easter season. But don’t let it limit you to Easter only, as this wonderful confectionery gift works its charm all year round. 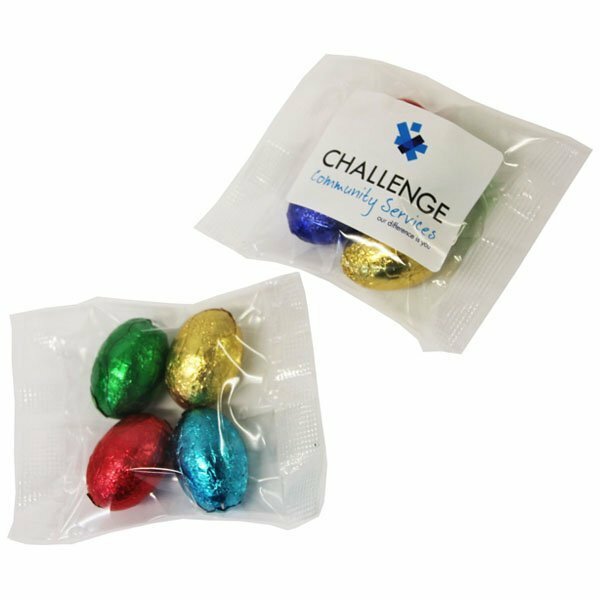 And with a printable sticker on-board for your customisation, the promotional Mini Solid Easter Eggs 30 gram Bag is a highly effective tool to use for your advertising. This confectionery giveaway is packed with 30 grams of chocolate Easter eggs. 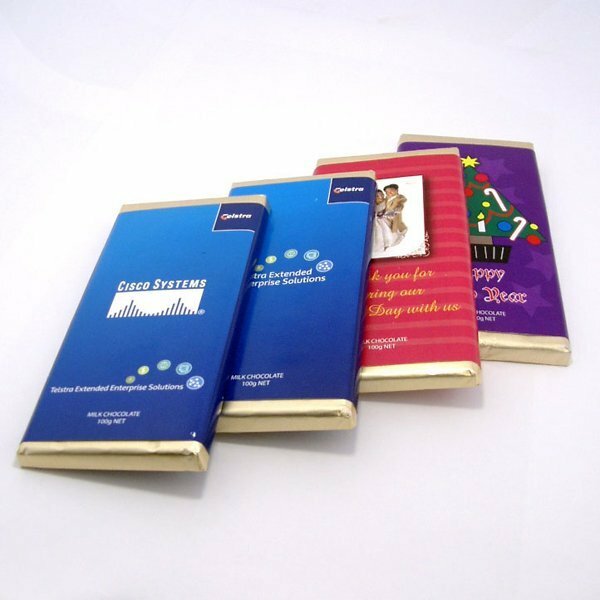 These 30 grams come in 4 solid pieces, each wrapped in a shiny foil of different colours. If looking at these colourful eggs is already exciting, wait until you get to taste them. Anyone who has had an experience with them can attest as to why these chocolate eggs are always among our best sellers. And to use the promotional Mini Chocolate Easter Eggs 30 gram Bag as your advertising, just send us your custom design and we’ll have them printed on a full colour sticker, which we’ll gladly place right on the bag. Advertising has never been this yummy and easy. You might also want to check out other variants of our Easter Egg giveaway. The promotional Easter Eggs Biz Car Treats is always a great way to present business cards during trade shows. And when you want to add something else to your confectionery giveaways, we also have a great line of wearable promotional products that you can use like the custom embroidered GI Jeep Cap Beanie. Our customer service staff can be reached through our hotline at 1300 008 300. Or you can also simply send us a chat message through our online chat application. We hope to hear from you very soon.